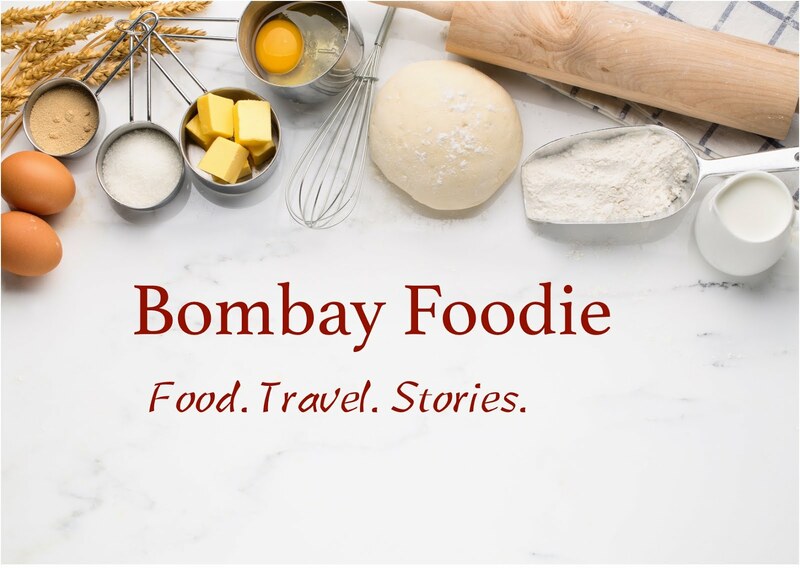 Thank you, dear readers, all the thousands of you who stop by each month to read about my food journey and sometimes to share your own. Later today, I am celebrating with some foodie friends I have made in real life through this blog. And because what's a birthday without a cake, I have a celebratory cake recipe for you as well. Bombay Foodie's birthday cake is still in the oven and I promise I will show you later today what it is. But this one - sticky toffee cake with caramel ganache and macadamia praline - is what I baked for my own birthday a few days back and has to be one of the nicest cakes I have baked. Here's the recipe. Preheat the oven to 180C. Line a 6 inch round tin with parchment. Melt the butter and wait until it's cool. Whisk the egg, sugar, date syrup and honey together until pale and fluffy. Slowly beat in the melted butter. Add the vanilla and stir to combine. Separately, mix the flour, baking powder and baking soda. Add the dry ingredients on top of the wet and carefully fold in with a metal spoon. Pour into the prepared tin and bake for 45-50 minutes, or until a toothpick inserted in the cake comes out clean. Let cool in the tin for about half an hour, then remove the parchment paper and cool over a wire rack. In the meantime, make the toppings for the cake. For ganache, mix the chocolate and the cream. Microwave or put on a low heat until the chocolate melts. Take off the heat and whisk until you have a smooth mixture. Let cool. Now make caramel. Put two cups of caster sugar in a large pan. To this, I added a splash of vinegar (essential to keep sugar from crystallising) and 2 tbsp water. Mix everything so the sugar looks like wet mortar. At this point, put your spoon away because there will be no more stirring. Simply wait while the sugar melts and bubbles. Swirl it occasionally if you like but otherwise, just stand there and stare at the pan until the sugar turns amber. It will take several minutes so be patient. Once the sugar is the caramel colour, turn off the heat, add the cream at once and stir to mix it well. Let the caramel cool, then whisk it into the cold ganache and put the whole thing in the fridge to chill. The praline starts the same way as the caramel - mix sugar, water, vinegar and let it become caramel as before. But before you do that, line a baking sheet with parchment paper and spread macadamia nuts over it. Once the caramel reaches a dark amber colour, pour it over the nuts. Let cool, then break up the crunchy caramel in pieces and grind to a coarse powder. Once the cake is cold, spread ganache over the top and sprinkle macadamia praline to finish.